An appointment in Glasgow saw me on Monday Morning’s flight. The flight was slightly earlier than the normal timings. And it was a beautiful sunny November morning. 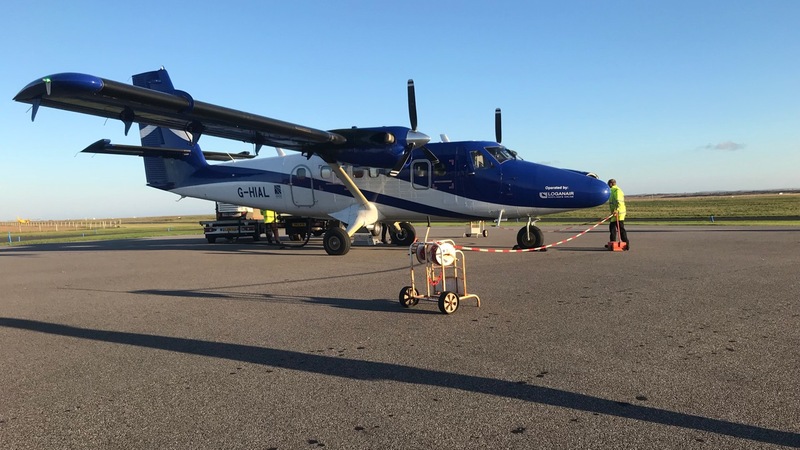 Boarding the LoganAir Twin Otter at Tiree Aiport – under blue skies. It being Monday there were two planes. 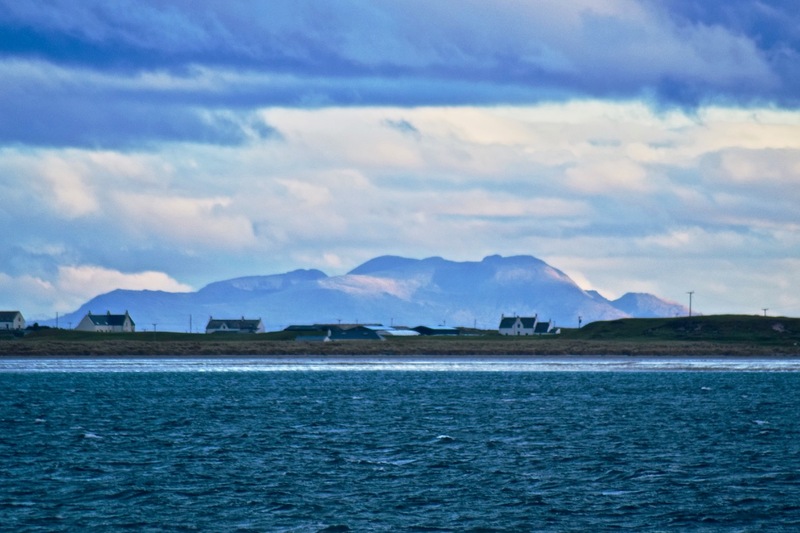 The tiny ‘Islander’ that serves Oban, Coll and Tiree. And the the larger ‘Twin Otter’ for Glasgow International Airport. Although larger than the ‘Islander’ the ‘Twin Otter’ still only has eighteen seats. 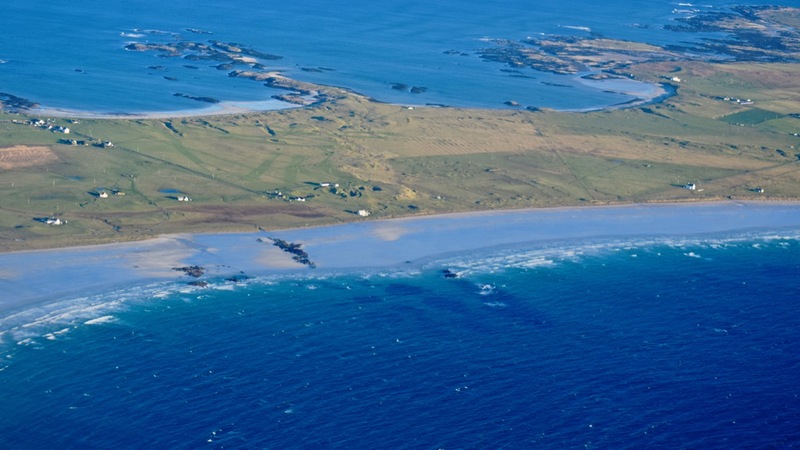 The take off and flight path took the plane over Balephetrish and Scarinish. With clear skies the views of the east end of the island were so clear. This gave a new perspective on the pier, harbour and our home. 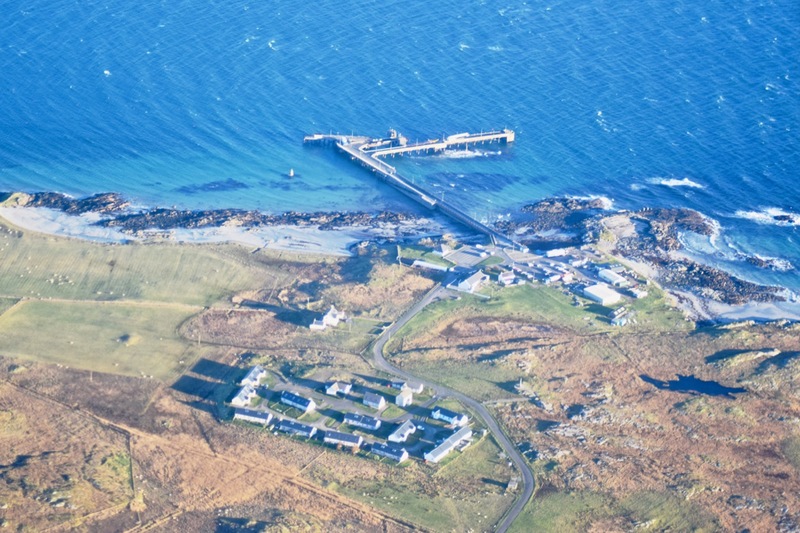 By way of contrast cloud covered the Isle of Mull and the Mainland. It was like looking down on snow covered mountain peaks. What a stark contrast with sunny Tiree. In the Summer I visited the island of Lunga, one of the Treshnish Isles. It was aboard Tiree Sea Tour’s rib ‘Aurora’ to see the Puffin colony. On Monday’s flight it was a different perspective on these isles. 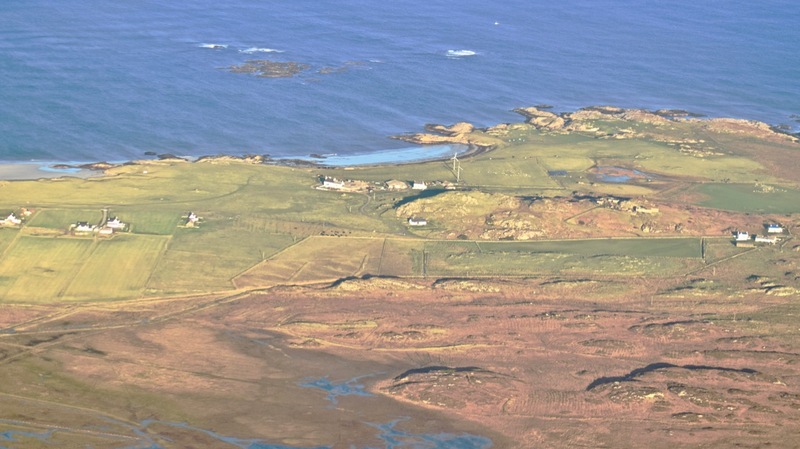 It was looking down on Bac Mòr, Lunga, Staffa and more. There was a different perspective on the ferry, the MV Clansman. When first spotted she was berthed at Arinagour on Coll. The last sighting was of the ferry heading out to sea. In fifty five minutes she would berth at Tiree. This was a completely different perspective. It was from more than 6,000 feet in the air. And perhaps 10 miles away. Glasgow belonged to a grey world. There was no doubt about it Glasgow was colder. Enjoying a warming cup coffee I thought of the contrasts. Contrasts I shared with a fellow coffee drinker at our window seat. The return flight reinforced this sense of contrasting perspectives. Reports from Tiree had been of sunshine – in Glasgow it was wet. By the time the plane took off darkness had descended. The flight was an excursion into the sunset. 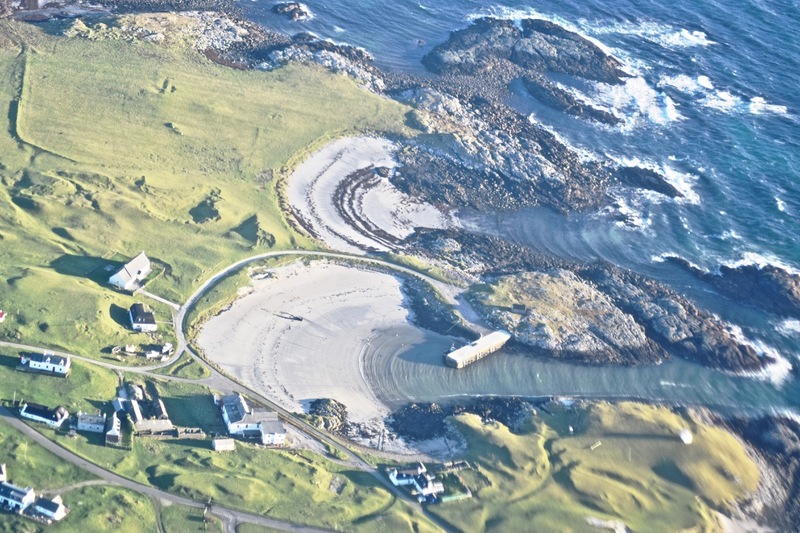 As the plane approached Tiree the lights of the ferry were visible. 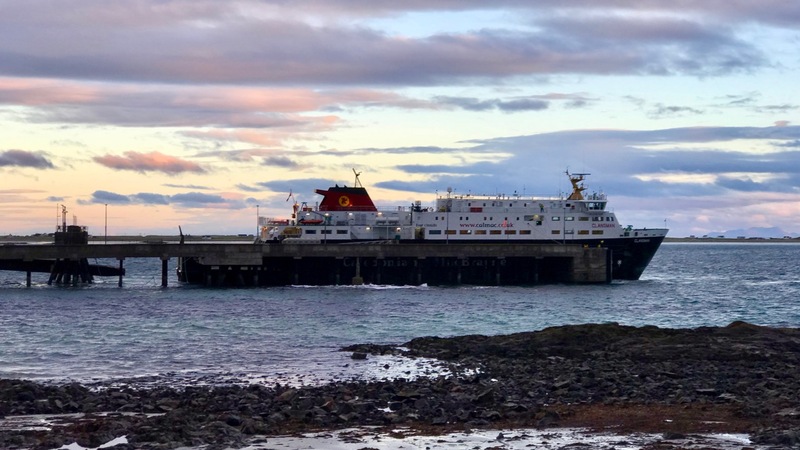 The MV Clansman was berthed alongside the island’s pier. This was the second sailing of the day to Tiree. At long last the cattle sale had taken place. Left behind were the busy city streets with their bright lights. Left behind was the hustle and bustle of town and city. Left behind were the traffic jams and queuing traffic. Left behind were the shopping centres and noise. Instead a place where the moon shone brightly. Instead a single track road to home. In the morning there was early morning activity at the pier. A one-off Wednesday sailing to take the remaining sale traffic. This was a contrasting perspective with Monday morning’s flight. There appeared to be no inbound traffic. Outbound most of the traffic bound for Oban was sale related. 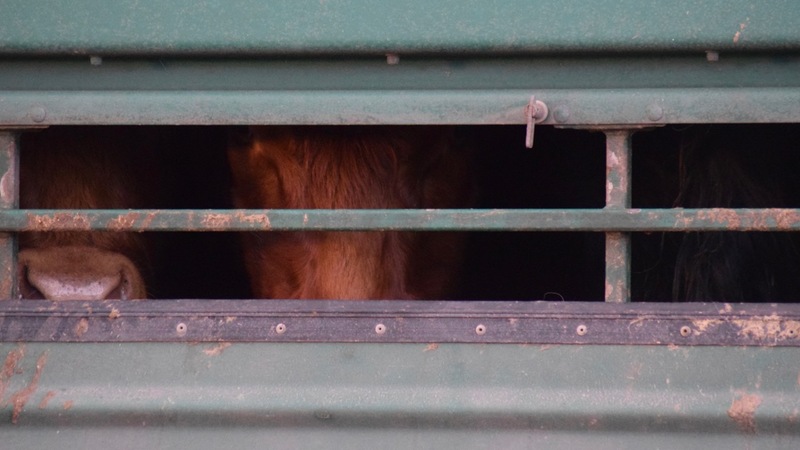 Did the cattle know that they had been sold and were about to sail? It was a morning where the contrasts continued. Tiree lay under a weak but bright morning sky. 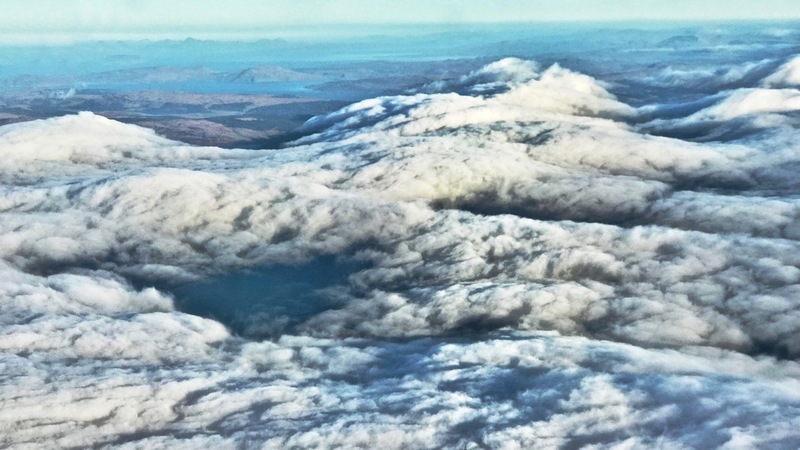 The Isle of Mull was under cloud cover. The sun was trying to break through. The view of the Rum Cuillin was so clear. 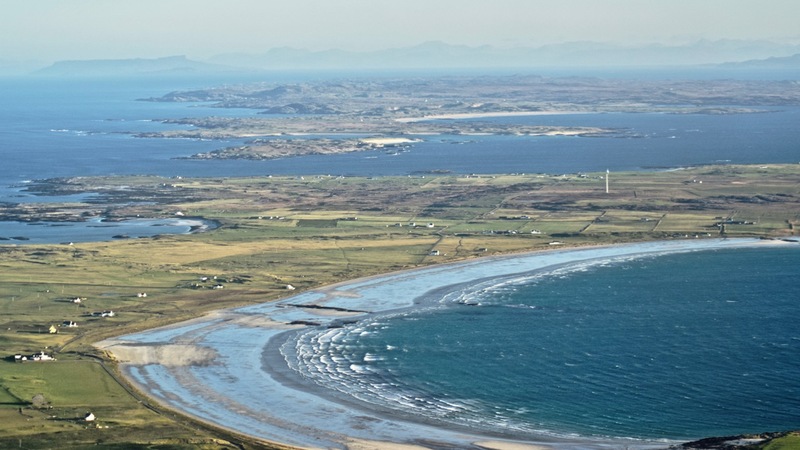 Once again it provided a backdrop to Tiree’s east end. The past three days had ertainly been of contrasting perspectives.